Living in a land of antibacterial gels, soaps, plastics, and even fabrics, it might surprise you to hear that tons of bacteria live in your mouth every day, and they aren’t all bad! In fact, some play an important role in keeping up your overall health. Some oral bacteria, however, can cause serious problems and must be fought with good oral hygiene. 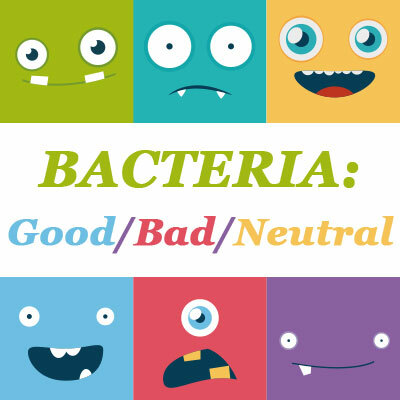 Dr. Yakowicz from Neighborhood Smiles in Belleville would like to help you understand the role bacteria play in your health and wellness. Heart health and diabetes are the most well-known connections between oral health and overall health, but research is growing and expanding every day. All of these connections, or, links, form the oral-systemic link. Dentist, doctors, and researchers work together to understand the oral-systemic link and how we can use it to promote better health all areas of your life. A recent study showed “significant associations” between the antibodies of certain oral bacteria with pancreatic cancer! Antibodies are your body’s way of fending off harmful substances. If your mouth has a lot of antibodies for a certain kind of bacteria, it could mean your body is fighting illness—both in your mouth and in other parts of your body. This is amazing news because pancreatic cancer is one of the most difficult cancers to detect and fight. By harnessing the power of the oral-systemic link, you can get far ahead of severe health problems before they even start.